How to keep your split from going splat. After divorce, your financial independence and well-being may be solely dependent upon your receipt of assets in the form of cash, property and support. For that reason, it is imperative to protect your rights during the divorce process to ensure a fair property settlement. The law firm of McBrayer provides proactive representation for individuals and high-asset clients involved in the divorce process. With extensive experience in divorces involving complex property division cases, we will provide high-quality representation designed to protect your rights and interests. Our lawyers have experience in divorce cases involving ownership of businesses, ownership of professional practices and other complex property division matters. When you choose our legal team to represent you, we will conduct a comprehensive analysis of the financial and taxation issues that may affect your case. We have relationships with professionals such as appraisers, accountants and business valuation specialists who can provide insight and guidance related to critical aspects of your case. In addition, we give extensive consideration to the tax consequences associated with property division and spousal maintenance. Our firm's careful preparation of your individual case enables us to obtain results in a cost-effective manner through negotiation or mediation. However, as skilled trial lawyers, we have the advocacy skills required to protect your interests at trial when necessary. McBrayer will work diligently to protect your rights during the divorce process and to obtain a fair and advantageous property settlement for you. If divorce appears inevitable, or you have already decided to get a divorce, our divorce planning attorneys can advise you on the best measures you can take to protect your interests. 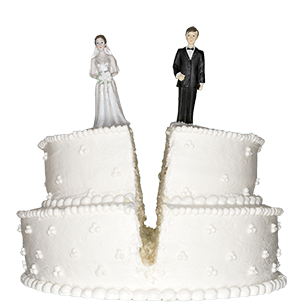 We can also develop an overall divorce strategy and start analyzing the legal and financial aspects of your case. To learn more about the divorce process and the issues in your case, contact our firm. We serve clients throughout Kentucky from our offices in Louisville, Lexington, Greenup, and Ashland. McBrayer provides sophisticated legal representation for individuals in need of legal services related to any and all domestic relations and family law issues. Our family law attorneys represent individuals in all family court matters, including but not limited to divorce, child custody, timesharing, child support, maintenance/alimony, division of property, post-decree modifications, and prenuptial agreements. In addition, McBrayer offers consultations to our clients, at which our divorce lawyers will explain the divorce process and answer any questions our client may have, particularly in regard to property division, marital and non-marital debt, and other relevant issues. McBrayer routinely handles domestic relations and family law matters ranging from minor issues to the most complex cases. We provide client-oriented, value-added services. Our family law clients typically include business owners, doctors, lawyers, entrepreneurs, and other professionals seeking high-quality representation. We respect our client's privacy, and take care to utilize the utmost discretion to address and resolve family law matters. McBrayer family law attorneys provide experienced, skilled guidance to our clients. We understand both the emotional challenges associated with family law and domestic relations issues as well as the potential effects on a client's financial situation. We offer hands-on, tailored representation to responsively address all of our individual client's needs. Our family law attorneys welcome our client's input relative to whether our client desires an out-of-court resolution or trial. McBrayer's family law attorneys are experienced negotiators. Often, our family law attorneys obtain a settlement agreement or other resolution which meets and exceeds our client's expectations. When an out-of-court resolution is not realistic or viable, however, our family law attorneys have substantial experience in the courtroom, and are zealous advocates for our clients at trial. A married individual who earned considerable income or business assets prior to or during the marriage and seeks restoration of assets following divorce. An unmarried individual who anticipates marriage and seeks to protect his/her non-marital assets. A public figure who seeks to reduce the publicity associated with his/her divorce. A business owner or other successful professional who seeks to discuss the potential financial consequences of separation and divorce. An individual who seeks to discuss the necessity and consequences of a pre-nuptial or post-nuptial agreement. An individual who has given up his/her career to contribute to the family and seeks maintenance/alimony and an equitable division of marital assets. An individual separated from his/her significant other who seeks to ensure the well-being and financial support of their children. An individual who seeks to prevent the other parent from relocating with the parties' children. An individual who seeks to establish, modify, or enforce a prior decree of custody, timesharing, child support, or maintenance/alimony.